Peel the garlic and the ginger and grate with a fine grater. Rinse the clams in cold water for about 10 minutes and drain. Salt well 3.5l of water in a deep saucepan, generally 12g of coarse salt per litre, 10g for more sensitive palates up to a maximum of 14g for lovers of strong flavours. Bring the water to a boil over a high heat and throw in the pasta. Stir the pasta gently every 2 minutes. Cook for a total of 8 minutes. In the meantime, get a pan, preferably non-stick, and brown the grated ginger and garlic over a low heat in 10ml of the Aromolio lemon oil and all the Aromolio EVO oil for 1-2 minutes, making sure that the paste colors but without burning. Then add the clams and turn up the heat. Sauté the clams for about a minute, add the white wine and let it evaporate for 30 seconds. Add pepper, cover the pan with a lid and continue to cook on a gentle flame for 3-4 minutes. 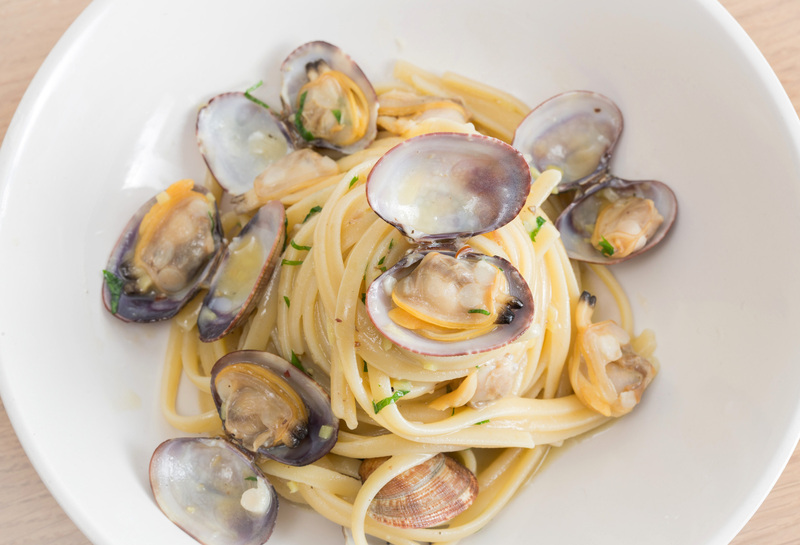 Remove from the heat and remove the clams with a slotted spoon reserving the water released during cooking. Remove 2/3 of the clams from the shell. When the pasta has cooked for 8 minutes drain and add to the clam water adding, if necessary, a little pasta cooking water. Finish cooking the pasta in a frying pan for about 2 minutes, add the clams and then remove from the heat and cover for 45 seconds. 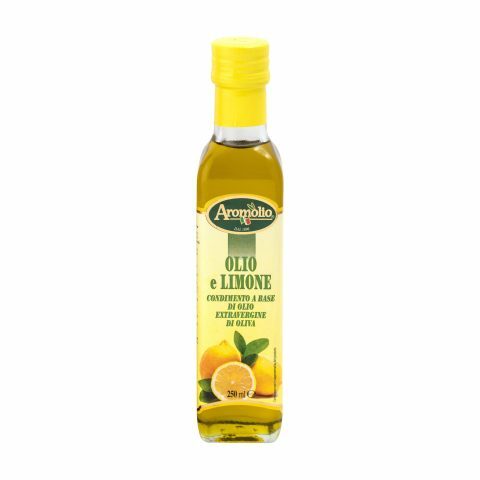 Toss the pasta with the remaining 15ml of Aromolio lemon oil. 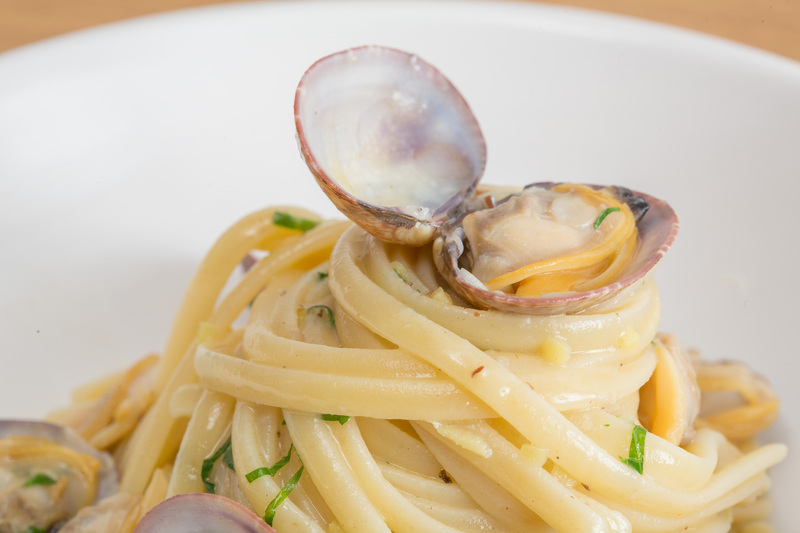 Divide the linguine pasta into 4 identical “nests” using a fork and a ladle.